When you hear “Hinterland”, I’ll bet you immediately think of Maleny Dairies, Colin James gelato, and fudge from Montville. But the Hinterland actually stretches WAY further than that little touristy pocket of deliciousness. Reaching from Doonan to Eumundi, out to Kin Kin and Cooran, and right up to the edge of the Mary Valley, the Noosa Hinterland is what happens when the coffee snobs of Noosa pack up their fixies and move in alongside country folk who have lived in their town for generations. So combine the laid-back chill of rural life with everything a foodie could dream of and check out this awesome list of things to do in Noosa Hinterland. If you're one to dream of Parisian bakery delights and the smell of only the finest coffee, then this coffee roastery and in-house bakery is JUST for you! Located in the beautiful Noosa Hinterland of uber-relaxed Cooroy, Circa is a converted garage, with a stylish and modern French twist. 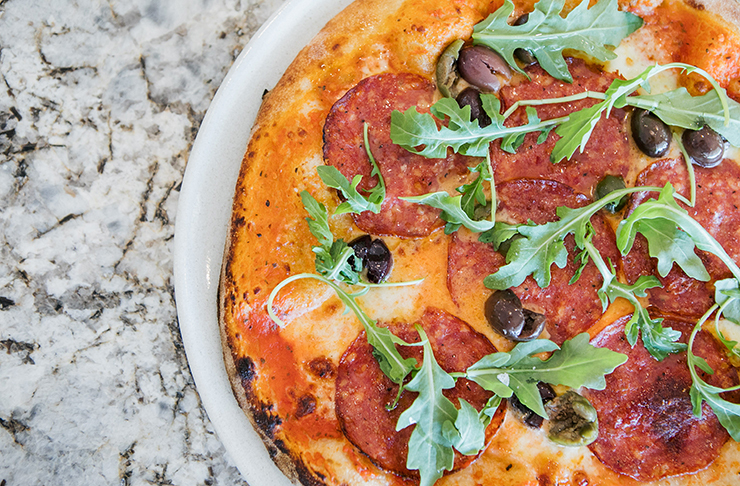 But, it gets better... at night Circa turns into a bustling pizzeria offering up authentic Italian pizzas. This place is a true foodie paradise that locals and out-of-towners alike are loving. Just so you’re prepared, Dhom’s Kitchen is no ordinary local Asian takeaway. This tiny neighbourhood restaurant serves up incredible, authentic Thai food that wouldn’t be out of place in the laneways of Sydney or Melbourne. Dhom makes all her sauces and pastes from scratch, with the home-style recipes she refines on her regular trips to Thailand. The stir-fried rice with house-smoked, salted salmon is like nothing you’ve ever tasted before, we promise. But be careful—word has got out and you will probably need to book to find a seat in the little restaurant, and allow plenty of time to order your takeaway. Pomona has been pulling out the big guns of late (proof is in the Bonsai and That Place pudding), and it just keeps on getting better. The new Trail518 is the gateway to a headache-crushing coffee from local roasters Flying West, teemed with a delicious brekkie or lunch. Keep this one in mind for once you’ve shown Mt Cooroora who’s King. This relaxed, friendly, rustic shed is kind of like being invited around to a friend’s place to try their homebrew, except that the craft beers are WAY better than anything your mates have ever served up. Cassie and Matt have a rotating list of ales, lagers, porters, and non-alcoholic brews. So pull up one of the funky mismatched chairs and work your way through Bonsai Brewhouse‘s offerings. Despite the exposed brick walls and rustic timber beams, don’t think this Cooroy brewery is just some blokey man-cave for craft beer fanboys. Oh no, my friends. 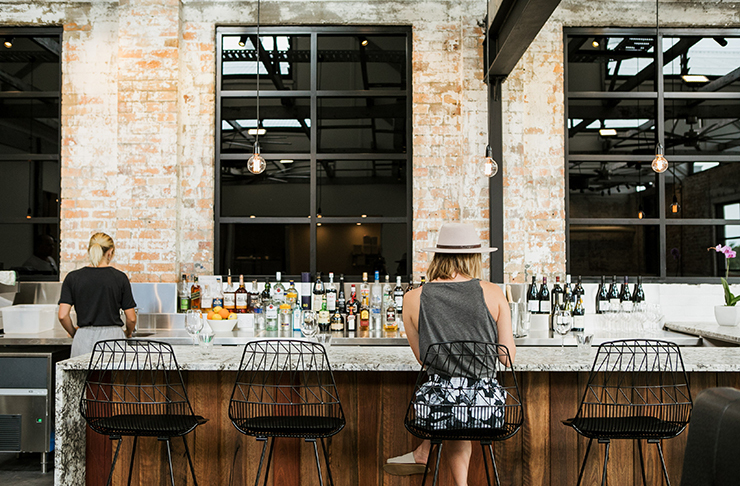 From the epic wooden chandelier and distressed wire lightshades, to the made-in-Noosa Green Cathedral oak furniture, the mid-century modern style of Copperhead Restaurant and Brewery is welcoming and elegant. Choose between loads of quaffable ales, perfect for a chilled arvo session. Tucked away beside an unassuming little village bakery in Cooroy is some seriously good coffee. At Fox and Hound, Brad brews a killer First Batch espresso. And if you like your coffee milky and white, if you ask nicely, he might even whip you up some latte art. If he’s not too busy, he’s happy to chat about brewing methods, grinds, beans, and roasts. 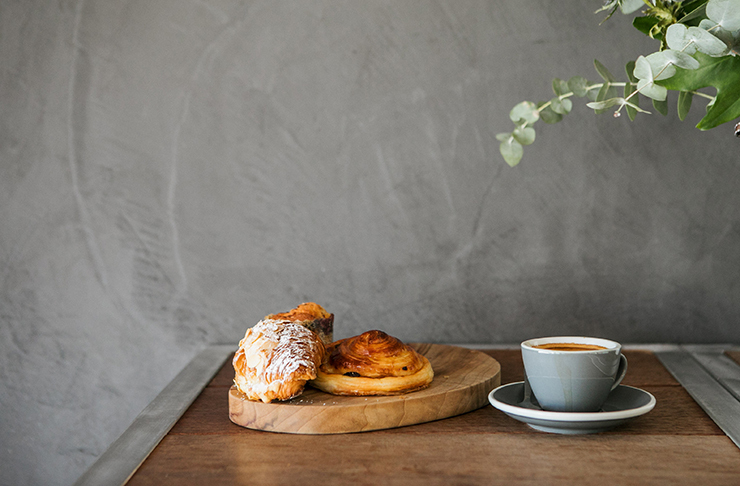 This is a guy who really knows his coffee, so if you love your caffeine then a stop here is a must among our list of the best things to do in Noosa Hinterland. If you like your coffee accompanied by some ridiculously chic interiors, pop by French and Gorgeous. Along with devouring fabulous coffee, friands, cookies, and juices in the stunning French countryside-esque garden, you can also get your shop on with homewares and timeless threads for the perusing. Tastin’ as good as it looks, you’ll spot this cute café on the main drag of Eumundi, close to the markets. Humdrum’s house blend is the Magneto Espresso, from local coffee crew Clandestino, with a rotating single origin. Your tea-sippin’ buddy won’t be left out either, with a selection of over 25 different flavours. There’s nothing better than a kickarse mojito. And if you can’t face heading to the pub (and let’s be honest, it means putting on pants, and who wants to do that?) then you need to take matters into your own hands. Head out past Pomona on Summit Roadd, turn right on to Louis Bazzo Drive towards Boreen Point, and about five minutes down the road you will pass a lime stall in a driveway on your left. With a big bag of about 10 tart, juicy, local limes for just $5, all you need is a bottle of Sailor Jerry, a bunch or two of mint, and a couple of tall glasses, and you’re set for a chilled-out Sunday sesh. Feelin’ a bit retro? Well Uncle Arthur and Miss Georgia are all over that vibe, daddy-o! These two stunning vintage caravans are decked out in as much old-school charm as you can handle. Based at Kenilworth Homestead, on the bank of the Mary River, it’s like camping, but much, MUCH cooler. P.S. you’re only a few minutes from ALL the Kenilworth chocolate mousse you can eat! Across the highway, a short drive from Eumundi, you’ll find Eerwah Vale. And in Eerwah Vale is a very special Airbnb. We reckon even the LEAST country-loving person will fall for The Barn. Surrounded by lush rolling hills, this 110-year-old restored dairy is what we call “a contemporary twist on something very rustic”. Is your daily commute getting you down? Is the stress and pressure of the busy corporate rat race just too much to bear? Oh don’t be silly. We live on the Sunshine Coast! But even we chilled out Sunny Coasters could do with a bit more Zen in our lives, so exhale, centre yourself, and check out the stunning tranquility on this large farm only 20 minutes from the heart of Noosa. You'll love Alaya Verde. How’s the serenity? Our version of “play” definitely includes shopping and browsing up a storm, so a stop by florist and styling studio Twig and Grace is a must if you’re frolicking around the Noosa Hinterland. Packed with décor for hire and armfuls of blooms to take home, this Cooroy space is our version of a creative heaven. Definitely a must-visit in our list of things to do in Noosa Hinterland. Sure, there’s plenty of things to do in Noosa, but there’s no giant mountain like this. Mount Cooroora is best known for the King of the Mountain race, held every July, but if you don’t feel up to running it (and I’ll be honest with you, I certainly don’t) then put on some sturdy shoes, pack your water bottle, and brace yourself. It’s not a light, casual walk—and includes some actual climbing—so don’t bring nanna along, but it’s certainly achievable if you’re fit and active. And the view? More amazing than you can possibly imagine. If gallivanting through Noosa Hinterland conjures up visions of laying under towering trees, munching on fresh fruit from nearby farm gates, all while flicking through a got-you-hanging-by-every-word book, then you’d better head for Berkelouw Books in Eumundi. Shelves crammed with new page-turners as well as hundreds of second-hand gems, this bookstore and gift shop could easily steal hours of your day. But trust us, that’s definitely not a bad thing. Pack a hamper, some fresh strawberries, a bottle of bubbly, and your comfiest picnic blanket and make a trip out to the Noosa Botanic Gardens at Cooroy. Even if you’re not into plants, you can snag a spot in the shade by the lily pond and wait for your very own Mr Darcy to emerge from the water. After lunch, head down to the grassy spot on the shore of Lake MacDonald with any leftovers, throw them in, and count how long it takes for the water to be teeming with hilarious, googly-eyed turtles. Somewhat of a secret, among the lists of things to do in Noosa. If you want to impress your date with your in-depth knowledge of classic films, you can’t do much better than the heritage-listed Majestic in Pomona. And we’re talking films for the serious connoisseur—Buster Keaton silent films, Laurel and Hardy and Groucho Marx. And if you’re not into your films quite that earnestly, there’s regular live music gigs and an onsite restaurant. And besides, it’s an amazing local treasure to support. Looking for more things to do while you’re exploring the northern end of the Coast? We’ve got your back with this hefty list of 30 things to do in Noosa. What about the best breakfasts in Noosa? Or what about the best restaurants in Noosa?